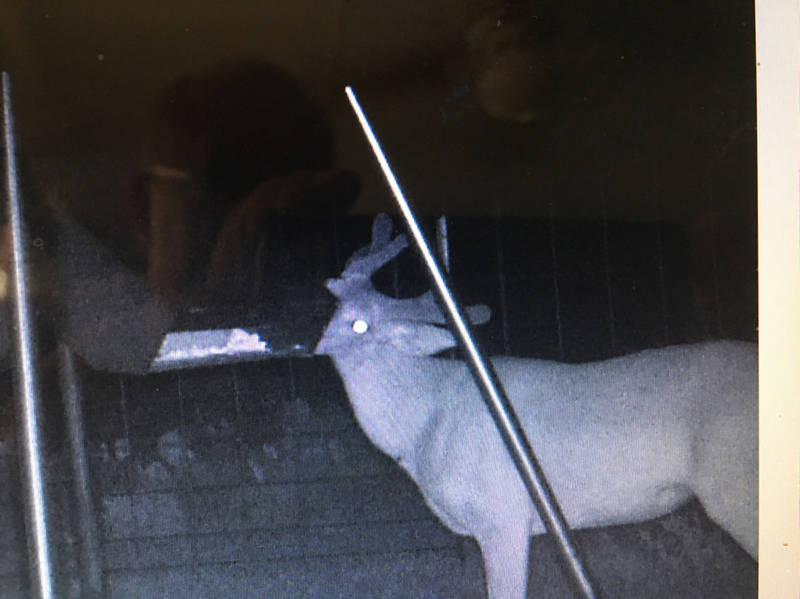 Every rare once in a while, we will see an axis doe on trail cams. Like maybe once a season. My buddy has a place south of junction and they’ve run the wt clean off the place. These are aggressive little beasts too. We have 2 different herds running around. That one just went black this season. Last edited by BuckySWT; 05-20-2018 at 06:58 PM. The rain is much needed up there! Glad they got some! We are at Erna rd and 1773! Hopefully we can catch some axis coming through! We hunted south of mason for 5 years and they split the land up so we had to get off. The place we are on looks promising though! Thanks for all the input! I’ll definently be checking back in to see the latest updates for the area! Anybody here have property off of 1674? We've seen axis all up and down that highway between Fort Mckavett and IH-10 but never on our place east of the road, besides one that was dead. I know they've got to be close by though. Surprisingly enough I have seen a sika, but no axis or blackbuck. There used to be Spanish goats running around about ten years back but theyre long gone. 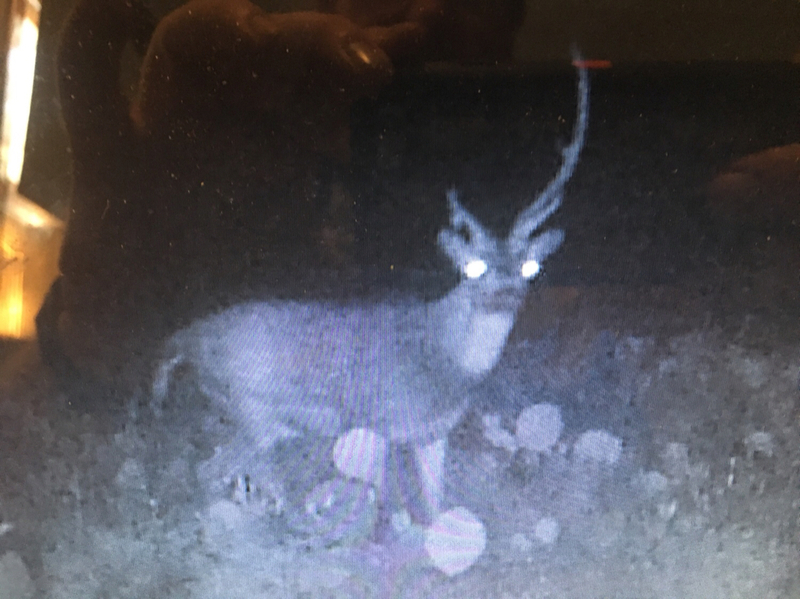 Got this guy coming into protein over at my blind. Pretty excited about this buck this early on. Showing some potential. Looks like you have a good one coming in. Hopefully he will stick around! Biggest body I’ve seen on our place. Lol...my buddy thinks he’s going to be a big six. I’d be happy to call that toad my cull buck! Going back this weekend to get some more work done. Anybody know if the axis out there are getting going? Deer are looking good and hammering the protein out here! The deer at my place are looking good. The fawns are just starting to drop. The turkey season was ok. Got on nice one, but now the turkeys are everywhere. Wish I had axis thou. I’m in mason county on the Menard and Kimble line can I participate? The country looks good from the recent rain. The rains fell late enough so that it was hot and this kept us from growing many weeds, pretty much just grass. This is great for cattle but the clover that we get from early spring rain really gives the deer a jump start. We sure missed that this year. Here is a tip for you guys wanting to increase your antler growth across most of the Hill Country and Trans Pecos. Keep out a high Phosphorus mineral as this country is short on ph. We all know that it takes Calcium and Phosphorus to grow bones and antlers are similar to bones. I feed the Hi Pro Mineral Blocks that contain 12% ph and it really seems to increase antler mass. These blocks are not cheap and can be found at Kothmann Country Store here in Menard. Thanks for the info! I will grab some this weekend. It may be a late to help antler growth for this year but it is of great benefit to all the deer, especially does that are lactating and fawns with rapidly growing bones. So this guy just showed up last night on my camera. Looks like he has been doing some fighting! I’d like to see the one that did that! Sorry guys, we missed the rain this week. Still pretty green but won't last long as it is supposed to be over 100 on Saturday. Made a trip to finally view our new place of 190 just west of town. Seen a lot of deer. They seemed healthy but most were near water. Seen 3 big axis bucks too so we are excited. Put out some feed and they started hammering that afternoon. Look forward to many updates this season! They are hitting the protein and cottonseed hard. It looks like we may have gotten around 0.50” of rain over the past two days. We are up off FM 2873, north of Fort McKavett and it is very dry. Whitetail and axis are tearing up the feeders, thankful for multiple water troughs in each pasture. Been watching a few rain clouds on radar over the past week but it isn’t enough to do anything. Quarter inch at the house and across most of the county. Good for starters but need so much more. Raining pretty hard south of town this afternoon. Thanks Gary that is good to know. I was out there yesterday and it rained briefly then stopped. I did see a few whitetail and 3 Axis. It took mine four months to start eating it in Richland Springs and now they are hitting it like crazy. Funny you mention the Spanish Goats. They came into our country west of Hext during that time. Not seen them in many years. Joining this fire. We're VERY dry out on the Menard/Schleicher line. Tried cottonseed this year and can't keep enough of it out. Hoping its helping our herd through this drought. We are about 5 miles West of the Fort on Cemetery Road. We did receive 1.65" of rain last night and about 1/10" Friday and Saturday. Some places got more, (to the North and East). The deer have been hitting protein and cotton seed hard. Gone through 5 tons of Cotton seed and 14 tons of protein the last 3-4 weeks. Hoping "to the North and East" was right over our place! Pretty good rain north and northwest of town yesterday afternoon. I have heard up to one inch. Sounds like Mike Murphey is getting all the rain out west near Ft. McKavett, none here in town. 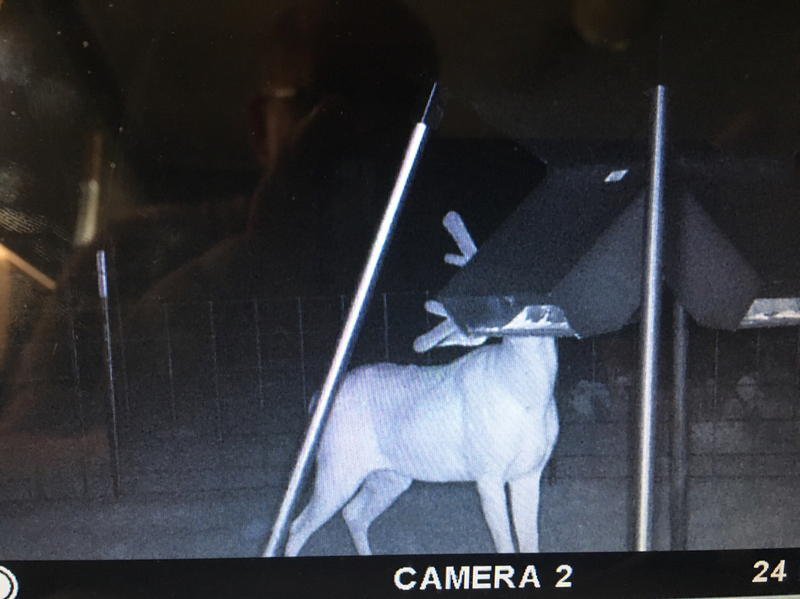 Anybody looking to get rid of a bow blind in our area? Needing one soon! !